B. Puro Instinct will be playing at Coachella…why do I know this, because Pearl Harbor was a great band and Puro Instinct is even better. D. If the album is as good as this track w/Ariel Pink then you can call it off because Puro Instinct could be winning the Hummingbird this year. So to recap – Puro Instinct is dream pop skull soothing, rock from Los Angeles. the band is (mostly) made up of blondies who like to break little boys hearts. Now read the vitals and please pre-order their new record. 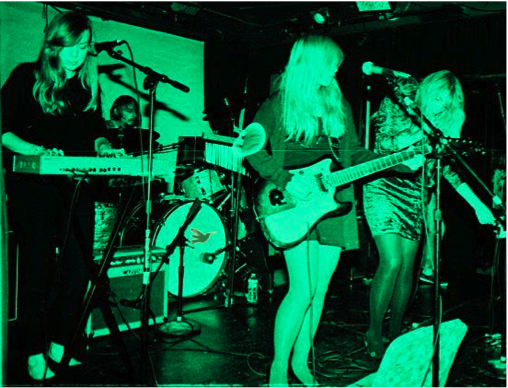 Sonic Soulmates: Fleetwood Mac, Best Coast, Sleigh Bells….No Joy…etc. “I’ve Got Some Happiness” (Leland Cover) – So you broke up with a guy, this track is so brilliantly perfect for the imperfect kind of days. “Stilyagi feat. Ariel Pink” – Might be the Gem of 2010, what a f’n great track.